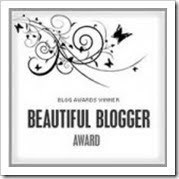 Kay, @Mommy Fabulous passed on to me this lovely blog award. I am loving it! Even only the name of this award is good enough to make me feel beautiful though ;) Visit her! She is totally AWESOME!!! Thank you so much Kay! I'm also honored to received Kreativ Blogger Award one more time. Love this award. Thanks to Personalized Sketches&Sentiments for passing this award on to me. Be sure to visit her blog and enjoy her fabulous drawings. Ok, now I have to share 7 things about me. I am thinking 7 more things that I haven't shared before. -I'm lefty! I am a left handed person who grew up doing writing right-handed. When I was a child society was not sympathetic to left-handed persons and eventually learned to write with my right hand. I do everything left- handed accept writing. Coincidently my hubby is a lefty too. So, I was not surprised when I found out my son is also lefty . -Watching a romantic comedy movie makes me feel happy! I can't stand horror movies. -Love surprises(of course good ones). -If it is cheesy, it has to be good :) I like cheese and the idea of cheese. -I decided to lose 10 pounds! Oh, yeah! It is not one of my new year resolutions but it can't be out of the 'to do' list! You know, I always share my awards all of you guys! Please accept them with all my hearty thanks! I was invited to a PJ party! -First day of the school(here) He incredibly loves the school! And here is the last one! I was tagged by Ems @Beauty Inside&Out again. Another picture tag. Lol, she wants to see my childhood picture:-) I don't really have so many picture of my childhood. Love you girl! So, I found this. I spent two full hours of fun with a dear friend last week. We went iceskating. I always take my son there. We love this place. Sometimes my hubby joins us too. The iceskating ring is in the middle of Tanger Outlet. The Christmas tree was still standing up decorated with big red gift packages. My son is doing well with iceskating. I had tried two times before. The first one ended with a bad fall. The second time Aria was holding my hand in the first half hour. Then, I was all alone. Lol, I'm sure I seemed very funny while trying not to fall down. That day, it was last Saturday by the way, I was better. At least, I could iceskate while talking:) Ok, I'm kidding but I was really better than before. Sometimes she made two turns when I was finishing the first one. Anyway, there was a young woman who was trying iceskating for the first time. I also saved her from falling :)Haha.. it's funny:) But, let me tell you, it was fun though! Really fun! After iceskating we stopped by Starbucks in the mall. That's what we do when we get there with my hubby and my son together. My friend is not a coffee fan but we had one more hour for ourselves. :-) Sitting there, talking while having our hot drinks.. I know she would read this post. Thank you girl, it was really great to spend some time with you. Even though you didn't let me add our pic to this post:) Hehe.. I missed to share my time out with you guys. Now, I am heading Theta Mom to see how the other moms spent their time out. Click her cute button and join me! 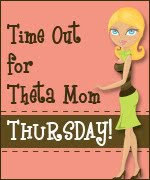 I'm glad Theta Mom Thursday is back! Make Your Kitchen More Fun! 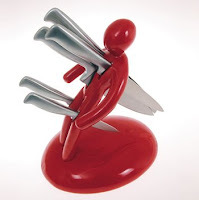 Here are a few fun kitchen accessories&kitchen tools that can make the kitchen more enjoyable. Why not have some fun in the kitchen? Oh, my son would definitely love this! Aren't they adorable? 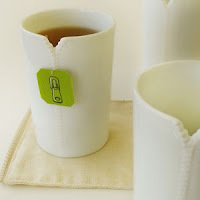 Love those white ceramic cups with zipper detailing. 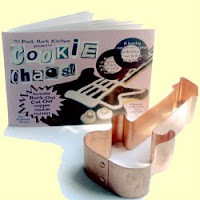 Do you have any fun accesories&tools in your kitchen? I made fresh squeezed orange juice today! My hubby and I like some pulp in our orange juice. I always buy Tropicana/some pulp. My son doesn't really like pulp. I used a strainer- to separate juice & pulp and made non-pulp homemade orange juice for him:) He asked for another glass:) We have a big bowl of oranges. I might also add some lemon juice next time. So, our powerful weapon is fresh squeezed orange&lemon juice against cold and flu! I got the package from Country Bob's the other day. They sent me 2 bottles of all pupose sauce to taste and review. I really wanted to try this sauce. Because it is all natural ingredients. I have had it on broiled steak yesterday for dinner. It gave the meat great flavor. Country Bob's is really tasty! Not too sweet. I am not a big fan of really sweet sauce. Yep, I'm going to try his spicy sauce next:) County Bob's is really a good choice guys! -Mmmm.. It is good mom! I'll finish it! -It is not too sweet, l Iove it! Ta daa! Hello Country Bob's! Welcome to my kitchen! You can use this sauce for appetizers, grilling, soups & stews, side dishes, dressing and more. Country Bob Edson created his All Pupose Sauce.
" In 1968 Country Bob perfected the sauce of his dreams. After years of giving the sauce to friends and family he began to sell it in 1977. The reaction was overwhelming just as it is today. Almost everyone who tries Country Bob's All Purpose Sauce becomes a lifelong user. And why not, it is the perfect complement to practically any meal set on your table." 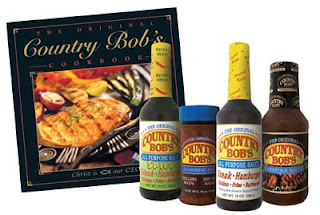 Country Bob's First Cookbook comes in a good value with a Gift Pack. Shipping is included in price. They offered 2 readers of my blog the opportunity to win 2 bottles of their sauce. All you need to do is visit Country Bob's recipe page and tell me which one you would try if you won! Thanks to Country Bob's for this delicious sauce and for sponsoring this giveaway. And thanks to The Product Review Place to provide this opportunity! Do you use Country Bob’s All Purpose Sauce? Have you ever tried it? They are sending to me some samples to try and review. I am so excited to try their products. After I try them, I'll tell you all about them. You also have a chance to win! I'm tagged by Emily@ Beauty Inside&Out ! Photo tag. Make sure stop by her lovely blog and say hi! (2008) He missed swimming a lot! Online safe box of your memories!! You can store and pass on elements of your emotional life to your loved ones. All your photos, videos, recordings, stories, letters, your thoughts, your wishes.. There is a website more private then other social networks. It is a good way to express yourself, your life story, your emotional life to your kids, to your grandkids and to your friends. It is a place you can store your life and pass on to your loved ones. MyHeartwill is a secure online safe box to keeping your memories safe. Giving permission to access your account is totally up to you! You can choose a guardian to carry out your wishes. And she/he can assign access for your family and friends. Your visitors can login and view what you have created for them. It sounds a good way to tell about your life to your loved ones. Doesn't it? They don't store any credit card details. MyHeartwill.com has a security certificate provided by Thawte. Read here about their security info. Keeps the memory of loved one alive.. Living On with MyHeartwill helps people to create an emotional legacy that will live on after they have gone. It is all about passing your emotional life, memories, experiences to your family and friends. Heartwill can take any form or shape. After you start, enjoy creating your love story. Slowly you can put things together. Create dedicated messages to your family and friends for the future. I got really excited when I read about scheduled messages. Store a family biography and share it with others. Add all your photos from your special moments in your life. You can also include a personal song in your family biography on your account tittled 'audio'. It is an amazing way to create a biography. When you need an assistance to set up your account online helpdesk will help you by emailing. After setting up your Heartwill account you can invite your family members and friends to have visitor access. An interesting website. Isn't it? POM Wonderful offered to send me some 100% pure pomegranate juice to taste and review. I got the box the other day from POM Wonderful. I poured myself a glass of POM Wonderful Pomegranate Juice and really liked this taste. The best things about this product; it is lightly tart, no added sugar or preservatives and %100 pomegranate juice. The only brand guaranteed to contain 100% authentic pomegranate. POM Wonderful %100 Pomegranate juice is the antioxidant super power. Protect your body against free radicals. I also read that it is more potent antioxidants than red wine, grape juice, blueberry juice, cranberry juice, green tea, vitamin C and vitamin E. It promotes prostate health and heart health. Pomegranate juice is known to act as a blood thinner.Read more about benefits of pomegranate and POM Wonderful products. POM Wonderful is coming to us from California's sunny Valley. They grow their own fruit, pick it by hand, squeeze it with their own proprietary presses and even manufacture their own cute bottles! I made this delicious snack with POM Wonderful Pomegranate Juice by layering oat cereal, vanilla yogurt, apple cubes and banana slices. 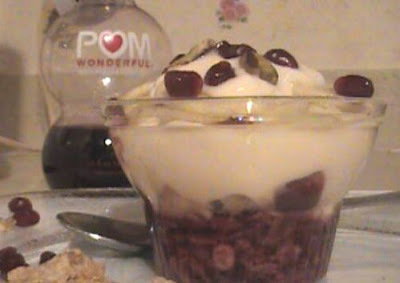 Put the oat cereal at the buttom of the bowl and pour POM Wonderful pomegranate juice over the cereal. It gives a pleasantly sweet taste to cereal. Add apple cubes and then vanilla yogurt. Drizzle POM Wonderful on it. Place the banana slices on top. Garnish with pistachios and pomegranate seeds. It is a healthy snack and also yummy. You can find more delicious recipes on POM Wonderful website. If you like pomegranate juice, POM Wonderful is high quality juice. Visit their website and learn more about their products. If you haven't taste pomegranate juice yet, do give it a try! Put all the ingredients in a bowl and make a quite hard dough. Cover it and put aside. Combine all the ingredients and knead it well. Mix yogurt and minced garlic. Divide the dough into two or three. Roll them out seperately. (very thin) And cut into squares(1inch) with a pizza cutter. Take little pieces from the filling and put onto squares. Close the squares diogonal sides. Just before serving- Heat the butter in a small pan. Add paprika and tomato puree. Don't let it burn. Remove from the heat. 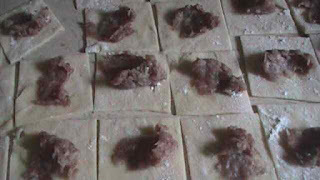 Divide the manti to the plates and add 1-2 tbsp water from the pot over each. 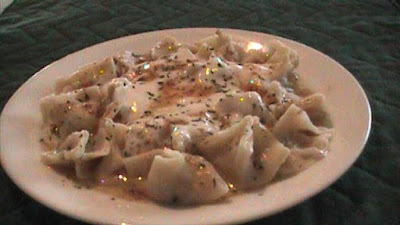 Spoon yogurt&garlic sauce over manti and drizzle with spicy butter sauce on top. Garnish them with dry mint. Serve hot. It took me almost 2 hours. I haven't made this dish for a while. So I wasn't as fast as before lol. Anyway, if you have time and wanted to try something new and delicious, this traditional turkish recipe is totally worth a try. 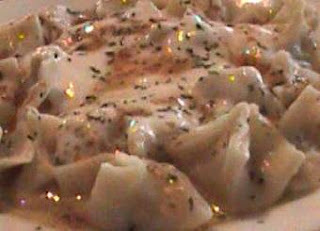 Every mothers day my mom used to make manti and we all used to get together. It is not a recipe you can make often. But when you taste once you might want to eat every day :) Anyway if you don't have time to prepare this dish you can find it -ready to boil in turkish markets or you can taste it in turkish restaurants. 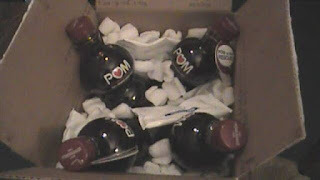 I received some pomegranete juices from POM Wonderful. It is 100% pomegranate juice and delicious. I'll tell you all about it in my next post. I love dinner time! It is good time to talk about the day. Sitting at the dinner table, talking to family or to get closer with friends...Every fantastic meal needs to be served in a pretty tableware set for a enjoyable dinner. And every pretty dinnerware set needs a wonderful meal to grace its plates. Cooking for family and friends is fun. Also setting the table with beautiful dinner plates is more enjoyable. An attractive dinnerware set is more inviting and pleasing to the eyes. What makes a new dinnerware set preferable to choose for you?Elegant looking? Good price? Or both? If you are planning to buy new dishes Pfaltzgraff offers great deals now! 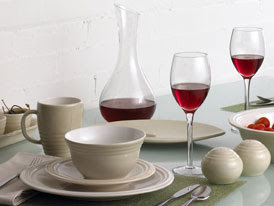 There are many dinnerware sets to choose at Pfaltgraff for everyday use or special occasions. Save up to %82! Great deal! All you have to do is to choose which of them satisfies your life style! I don't have any square plates but like their modern look. Most recently, they have become a hot trend. 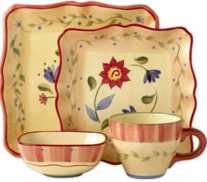 When I looked at Pfaltzgraff 's website, this beautiful dinnerware set immediately caught my eyes. 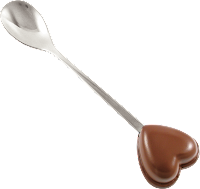 Anything you need for cooking, baking or serving your meals, take a look at Pfaltzgraff Kitchen Products! The Pfaltzgraff brand has been associated with the highest quality ceramic products for almost 200 years. Yorktowne, Folk Art, Naturewood and Pistoulet... If you would like to get one of these best-loved dinnerware designs, don't miss this sale! Oh btw, you can register for a chance to win a Lane Furniture Set :) I'll be checking it out later! A Special Dish For A Special Day! 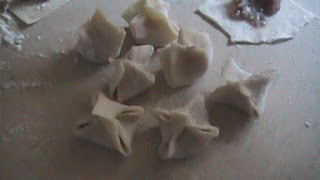 I am making MANTI for dinner today! Hubby loves it! One of the most difficult dishes of Turkish Cuisine but it's worth it. So delicious!!! Grilled Tilapia and Turkish Raki!!! Grilled tilapia and salad! Here is one of our favorite dinners! Combine all the ingredients for marinade. Pour over the fillets. Leave in the fridge for 30 minutes. Remove fillets from marinade, grill/or broil them. 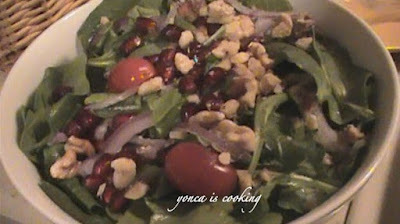 Mix together arugula, lettuce, red onion, baby tomatoes in a bowl. Drizzle some olive oil and fresh lemon juice over it. Mmmm yum! Drink??? I had a glass of wine. My hubby prefered turkish anised based traditional drink, RAKI. 10 Things Make Me Happy! Hope everyone had a safe and happy new years eve! We welcome 2010 hugs kisses and family dances! First time Aria was up. He was so funny all night and made us laugh. 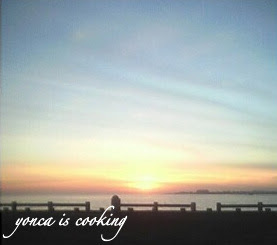 This is my first blog post of 2010 and I want to start this year with some bloggy love. First day of New Year I received this beautiful award from Mommyologist. I'm so glad I started to read her site. Please stop by her lovely blog and say "hi". I love blog awards especially the friendliness ones! Thanks Mommyologist! Now, I get to tell 10 things that make me happy. - I don't know how I was living before my son. He makes me REALLY HAPPY! -Taking a shower definitely gives me some energy and makes me feel happy too. Lol, that's why I try not to skip showers in the morning. - A smile on my hubby's face is the another thing that makes me happy. Whenever he smiles I feel that warm feeling deep in my heart..
-We enjoyed the snow this holiday. But I totally gotta admit that I'm a summer girl! The sea and the sun make me so happy! -And YOU GUYS!!! Your comments, support, friendship...make me soo happy! Whenever I read a new comment, an email or a message, makes me really happy! Btw I needed to change comment setting on my blog. Lately I got a few ridiculous comments from people which they are trying to show their sites on my blog in a ridiculous way. So sorry you can't see your comments after sending. I will publish them as soon as I can . Ok next one, here it comes! -Doing exercise makes me think positive and feel good. 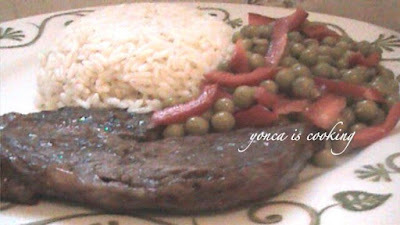 -Cooking makes me happy!!! You know that :) Hehe..
-Talking to a good friend always makes me happy. -Haircuts! Feels good to have a haircut! I like to change my hairstyle. -I got my grocery shopping today, cleaned my refrigerator, the house is clean, I am making grilled tilapia &green salad for dinner. YUM!! I wrote my post and after the dinner I 'm going to read some of your blogs. Now I am happy! 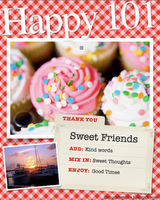 It is wonderful to have bloggy friends like you guys! You are great followers, great friends! Another blog award came from Tami@ Hearts Make Families. Her blog is one of the blogs that I can't live without reading! Thanks Tami! Hugs!!! And I want to share my awards with all of you again. Y'all know you can accept these awards and pass it on if you'd like! I wish you guys a happy and healthy 2010!